Fred Meyer is a lesser-known department store, but it often hosts deals rivaling those of its competitors. And this year, starting at 5 a.m. and lasting until 1 p.m. on Black Friday, holiday shoppers can find discounts on apparel, electronics, small appliances, home goods, toys and more. The 2016 Fred Meyer Black Friday ad is here! Top deals include a Samsung 50-inch class 4K UHD smart HDTV for $399.99 (regularly $1,199.99) and an iPad Air 2 for $299 with coupon (regularly $399; shoppers also receive a $25 Fred Meyer gift card with this deal). Digital cameras are up to half off, including the Canon Rebel T6 kit for $449.99 ($300 savings) and the Nikon D3400 with lens for $499.99 (regularly $999.99). It may seem early, but have you thought about your spring vacation? Now is the time to put your holiday spending towards meeting credit card sign-up bonuses and earning points you can use on hotel, dining and airfare since November historically has the best promotions for travel and airline cards. You can buy gifts for loved ones and maximize rewards for travel plans all with the same Black Friday shopping haul. Half off all Holiday Home light sets. Ninja Fit blender for $37.99 (regularly $59.99). Women’s sweaters starting at $12.99 (regularly $40). Buy one, get one free board and card games (regularly starting at $9.99). 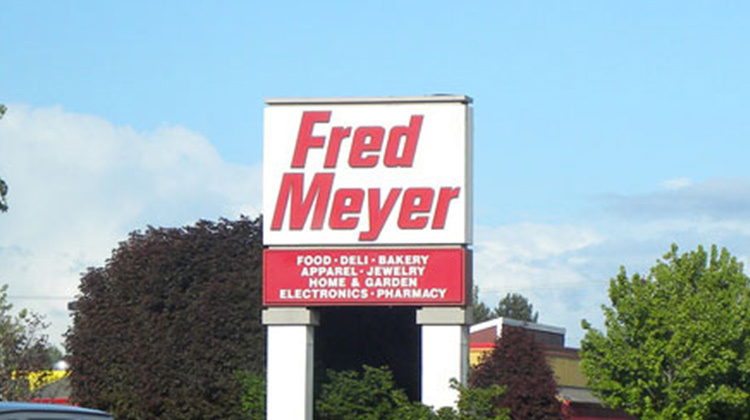 Fred Meyer provides the savings and also shopping fuel — complimentary coffee, juice and doughnuts. In 2015, Fred Meyer released a 32-page ad featuring deals on everything in store, from apparel to furniture, plus electronics and small kitchen appliances such as headphones, Bluetooth speakers and coffee makers. Note that Fred Meyer doesn’t price match, so be ready to pay the store’s asking price. 25% off women’s, men’s and kids Under Armour shoes. Free $75 Fred Meyer gift card with purchase of $399.99 GoPro Hero4 camera. $199 for a 16GB iPad Mini 2. $219.99 for Beats Solo 2 wireless headphones. Fred Meyer stores opened their doors at 5 a.m. on Black Friday, and early shoppers were met with not only great savings, but also complimentary doughnuts and coffee to fortify them while they browsed. If you like shopping at Fred Meyer, you’ll definitely want to check out the Black Friday deals at these similar stores: Target, Sears and Wal-Mart.